Breathed by dragons, run through the streets by Olympic athletes or simply to be gazed into on a midwinter’s night. Fire is indeed the most primal of forces. One of the four elements in ancient western culture it is believed to be fundamental to life; it is also the most unpredictable, volatile and capricious. The French philosopher Gaston Bachelard says in his writing, the Poetics of Fire “fire is the element in the centre of all things.” Universally it is at the heart and hearth of many creation myths from the beginnings of time; cultural, traditional or religious, mankind has envisaged the world formed from flames. Creation comes from a state of chaos. The symbolic reading of fire evokes a powerful image. It can represent pure spirit, vitality and passion but also brutality and destruction. In character it is both passive and active with the ability to bring change. Greek mythology differentiates between the destructive fire associated with Hades, the god of the underworld and the creative, benevolent fire connected to Hephaistos, the god of blacksmiths, sculptors and craftsmen. From industrial manufacture to contemporary arts practice, the forge, the foundry and the kiln harness the raw energy of this natural resource for practical and creative application. 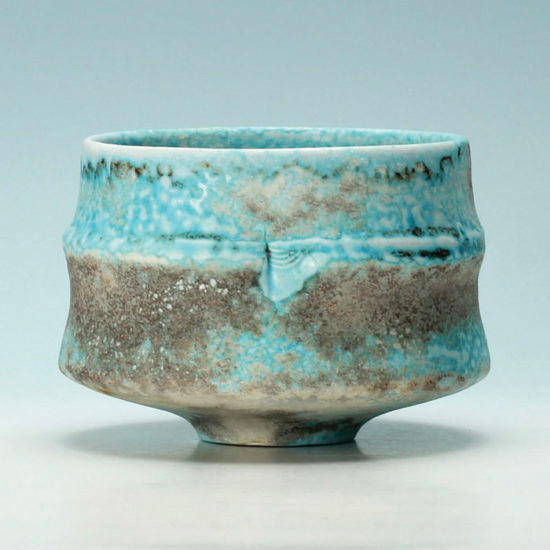 Irish potter Jack Doherty makes porcelain soda-fired vessels. His work is concerned in a way with function; containing, holding and storing, but not necessarily utility. He describes them as revealing qualities of art and utensil. He states “I am intrigued and inspired by the potency of archetypal vessel forms. Anonymous and uncomplicated pots from pre-history used for storing, cooking and keeping people safe through winters and giving protection in the everyday world can also function in other ways. I see them as figurative objects. As guardians of emotion and connectors with the spiritual, I want my work to inhabit our domestic spaces in the light, shadow and darkness with qualities that neither painting or abstract sculpture can.” Over the years his working process has become simpler and more refined in the belief that stripping away what is unnecessary can produce work with complexity and depth. His work is made using one clay, one colouring mineral and a single firing. For Doherty the kiln is a practical tool. It is also the subject of an intimate relationship, a skilled and finely tuned process delicately balanced between science and art. Fire is the essential collaborator in his creative process. It becomes the catalyst for change, a transformer, converting objects into other forms, through heat, flame, smoke and soda. An interdependent partnership at it’s most primal; artist and fire working together. In Doherty’s studio there is a shelf of well-thumbed kiln diaries listing all of his firings dating back to the 1970’s. From these tentative experiments into soda-firing they record every detail at every half hour intervals. They note not just gas pressure, temperature rise, failures and successes but weather conditions, timings, sketches and drawings. This is the memory bank where a potters knowledge is stored; a resource or library of accumulated skill and technical experience. His work does not stand still but evolves and expands. Doherty says “I want to make all of my processes add to the nature of the finished piece and to be brave enough to not stand still. The hour or so that I spend spraying the soda is probably the most concentrated and focussed of my life. There is no need to talk. The job here is to work the chamber, directing the sodium solution through and around the silhouetted forms into the gaps and spaces. This physical connection is as close as I get to making with fire.” There could be an assumption that the kiln does the work but here is a potter working with the interaction of the flame, the spaces and atmosphere of the kiln, like a performance or dance, working in harmony as a musician plays his instrument. 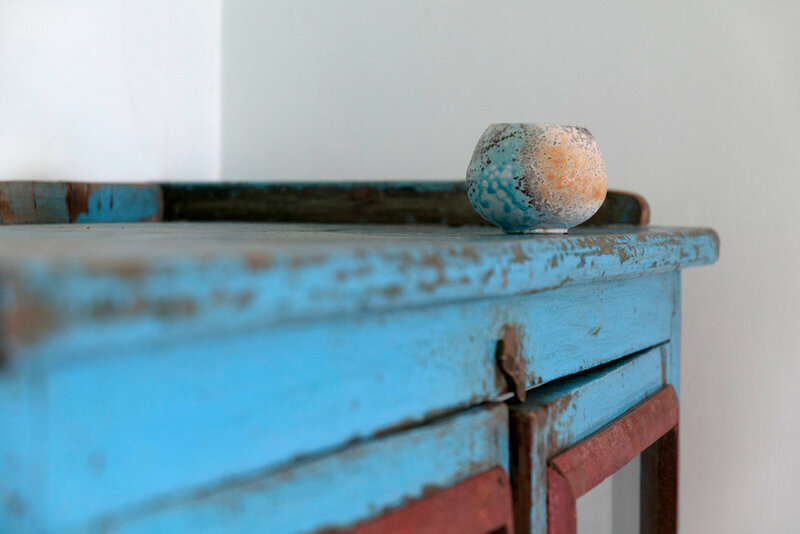 Doherty works in porcelain, a clay most commonly associated with fragility and translucency, he utilises the quality of whiteness and brightness to compliment the simplicity of his vessels. There is a vulnerability to these simple un-fired forms clustered in groups in the kiln chamber. They are exposed to extreme heat and danger as the flames move around the pots like water flows around rocks in a river. Subjected to the trauma and fierce atmosphere, there is a significant amount of risk involved. Fire commands respect and can be very unforgiving. 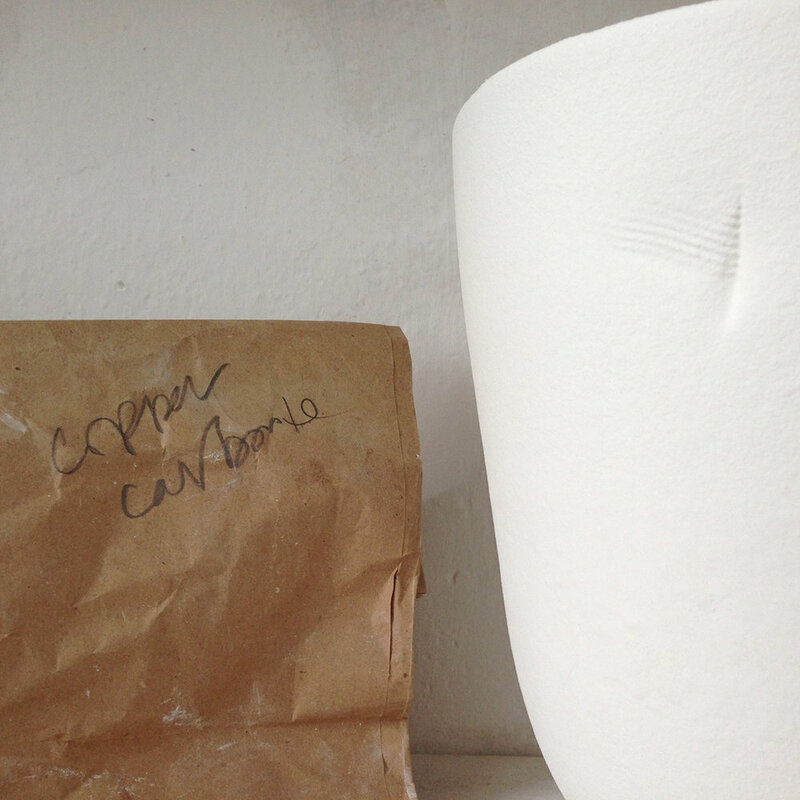 Through the potentially destructive turbulent firing cycle the work is brought to life. 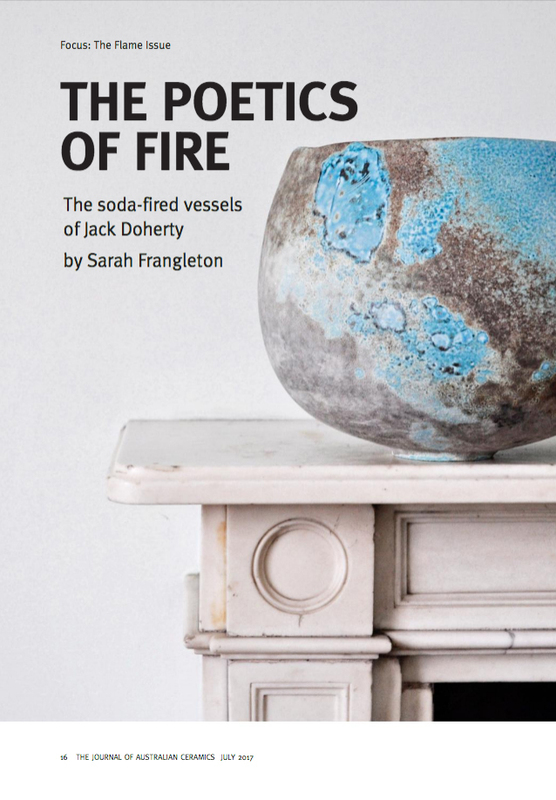 Doherty’s bold and elemental pots are scarred, engulfed and marked by the fire that brings beauty to the forms through nuances of subtle colour and textured surfaces. Sarah Frangleton studied Art and Design in a Social Context at Dartington College of Art and completed an MA in Curatorial Practice at Falmouth University. Sarah has worked in a collaborative partnership with Jack Doherty since 2012. As a curator she looks for alternative spaces to engage audiences. These itinerant places can be a catalyst for the unexpected making new connections and discoveries between viewers and artworks.